Growing up in a real estate household, Cecilia understands the ins and outs of the business, as well as the expectations clients have for services provided. After working her way from receptionist, to processor, to assistant, it seemed only right that the next step for her bubbly personality led her to become Business Development Manager for RidgeGate Escrow. With a bachelor’s degree in Psychology and minor in Dance from Cal State Northridge, she has been able to translate her interest and passion for people to work well alongside others, assuring smooth transactions even when handling the most difficult of escrows. Working as assistant to Cindy Avelar-Aldana and Courtney Black, Cecilia honed an essential understanding of the escrow business. With her knowledge, she is able to explain fundamentals and answer questions about procedures to assist those who may be new to the escrow process, bringing quality customer service to agents and their clients. 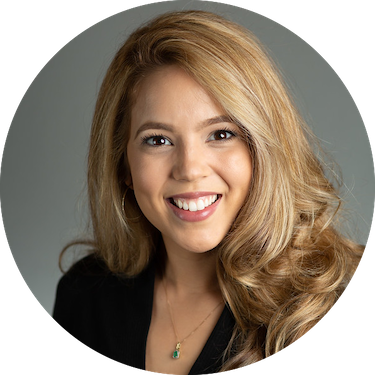 Cecilia understands the role escrow plays for all parties of a transaction, which is why she brings her motivation and kindness to everyone she encounters. Her values for friends, family, and loved ones align with the ideals of the company she so proudly represents. In her free time Cecilia enjoys reading a good book, participating in yoga/pilates classes, traveling, going for walks, and snuggling on the couch with her sweet dog, Marcel.